Ok friends, are you all still with me on this fall decor? Or have you gone to the dark side that is Christmas tree’s and reindeer’s? I am giving fall and Thanksgiving the respect it deserves, we all have family and friends coming over and need to invite them in with the best that fall has to offer. 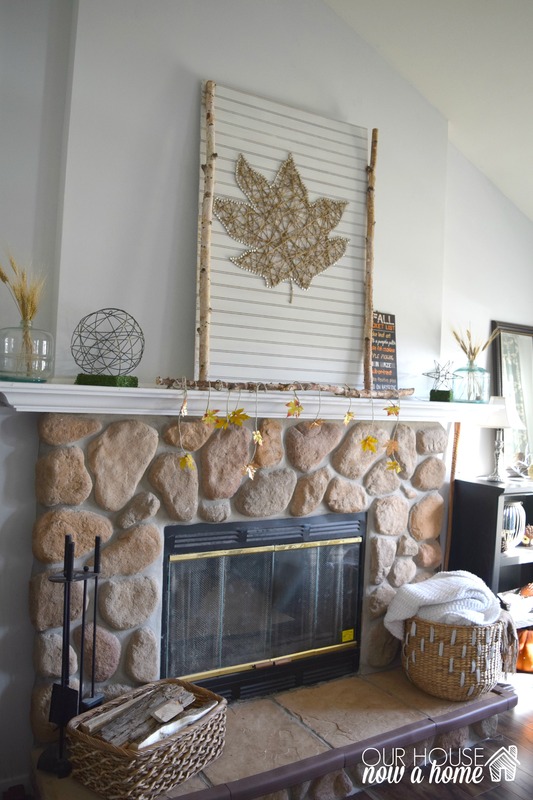 I am sharing a simple and neutral fall mantel for you all. I was fortunate enough to work with Gordmans on this post, as part of their Fall finds. If you are following along you may have come from my friend at What Rose Knows. I adore her home and ideas, and this is a tough act to follow. 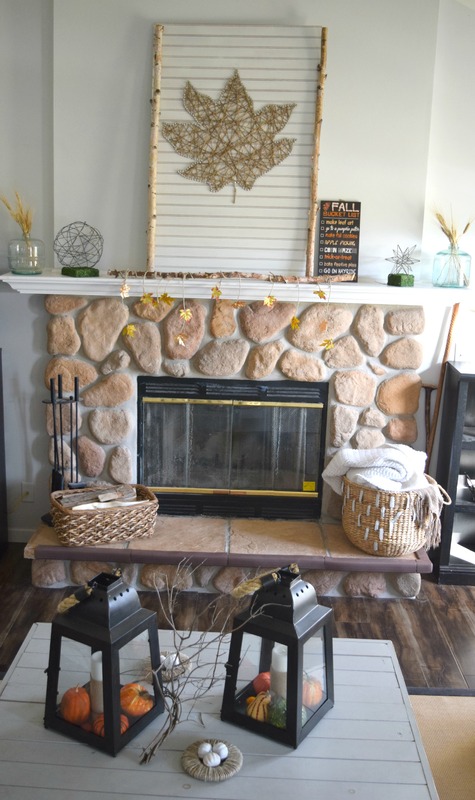 I will do my best to entertain you all with my simple and neutral fall mantel. I also had to throw in a quick and easy tutorial here. This would not be Our house now a home without a tutorial. I purchased a bunch of amazing things from Gordmans, one of them being three massive birch sticks. They are gorgeous! I put two of them to use framing my fall leaf picture I made. I had one left over and decided to put this front and center, with the help of some fake fall leaves and some rope. 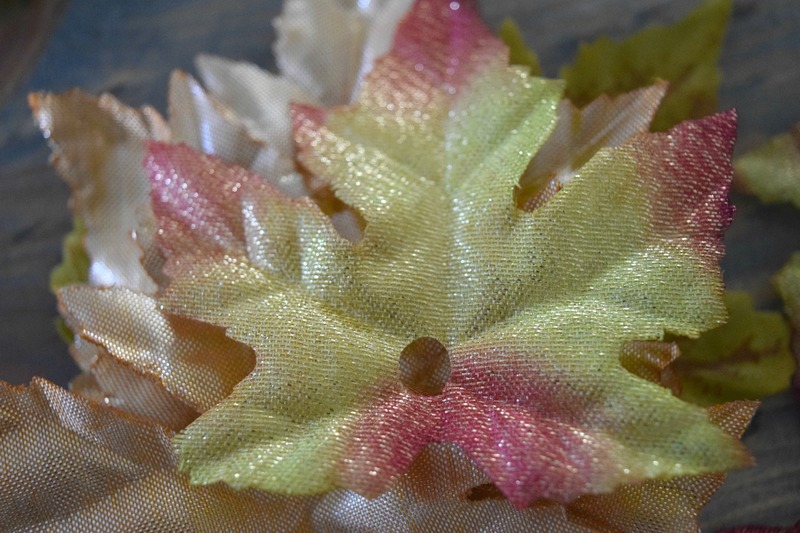 I used a hole puncher and punched holes in the center of each leaf. 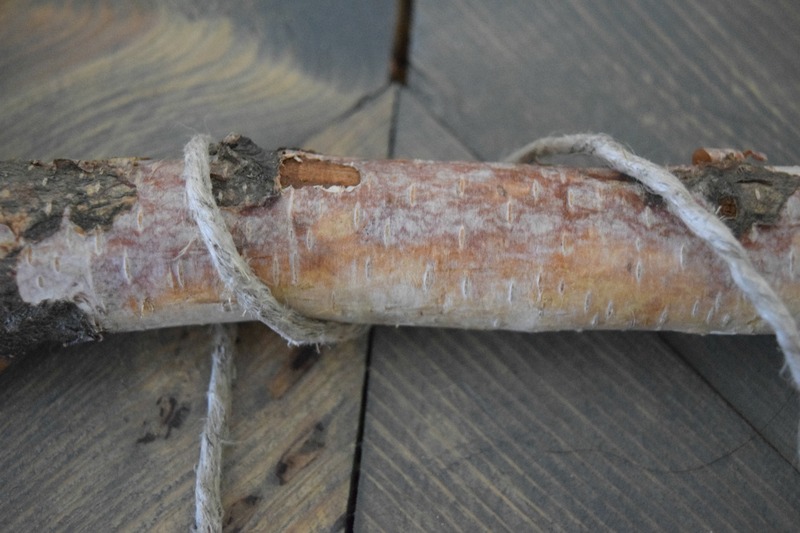 Cut off a portion of the rope, long enough to loop it around the birch stick a few times. I left the two ends to be staggered and slightly different sizes. 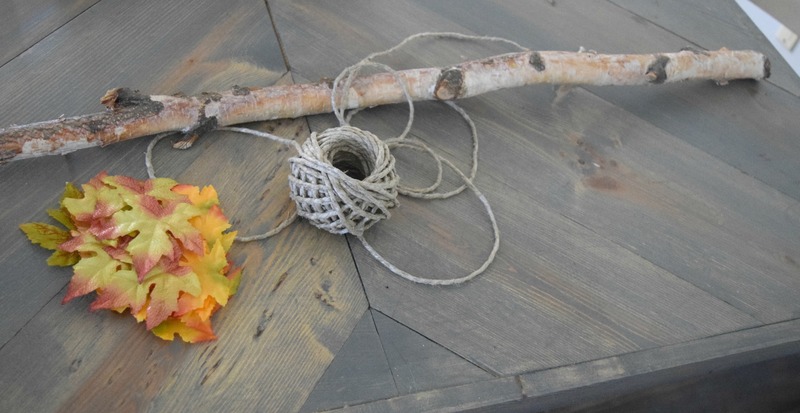 Tie the rope through the leaf hole. That is it! I repeated this a few times to cover the hole 48 inch long birch stick. I love the simple but festive look it has. 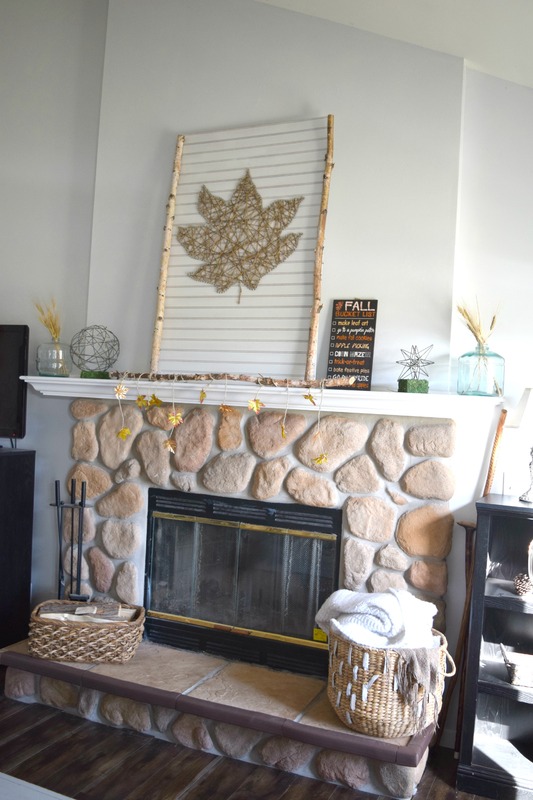 I had so much fun putting the rest of my new fall decor into my home. Mixing it up with pieces already purchased and a few DIY projects I had already created. This is such a simple, clean, and light feeling fall look. I absolutely adore it! 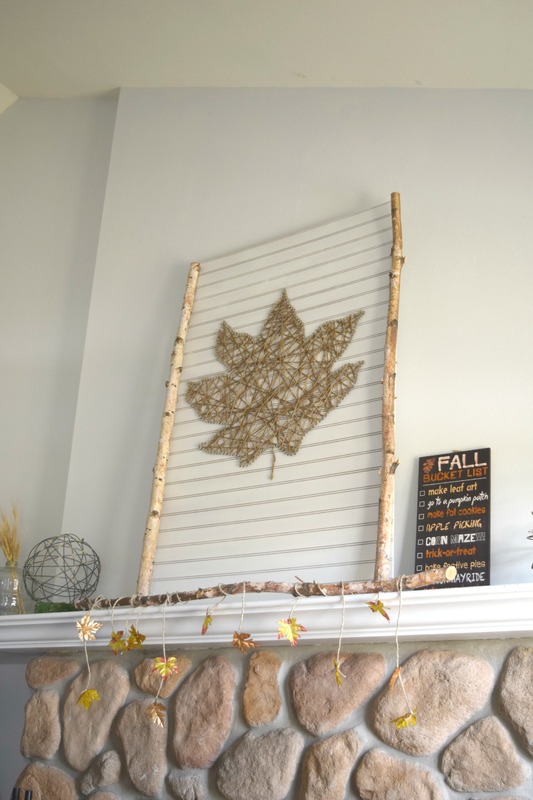 I created the fall leaf string art last year, which you can find the tutorial for here. 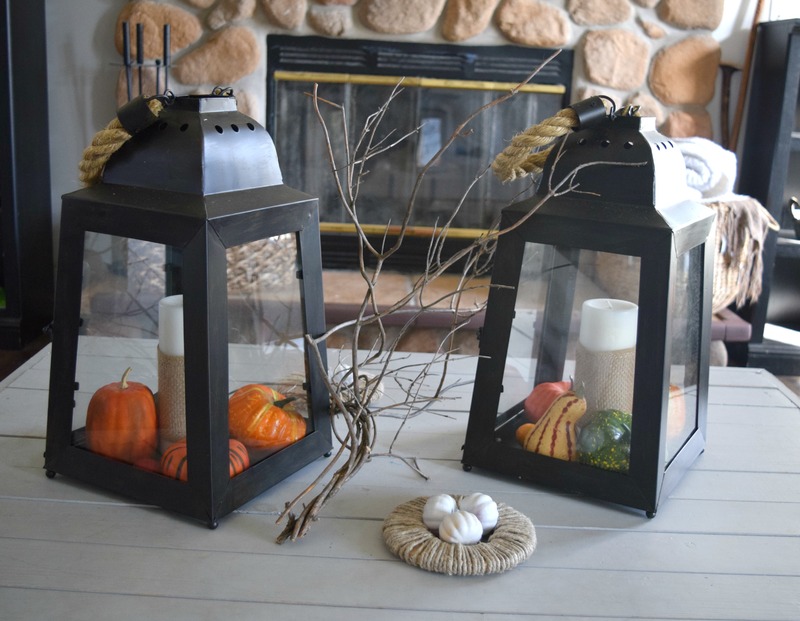 These beautiful and over sized galvanized rope lanterns were one of my new pieces from Gordmans. They are stunning! I filled them with pumpkins and a candle. Gving just a pop of fall and color in these. It made them work perfectly on my coffee table. Because I was going for a simple look for this fall look, I wanted to do a more subtle approach to fall decor. I selected this 3D star gold accent. I loved the hint of gold, it felt fall to me without being over the top. A more vintage feel to it. 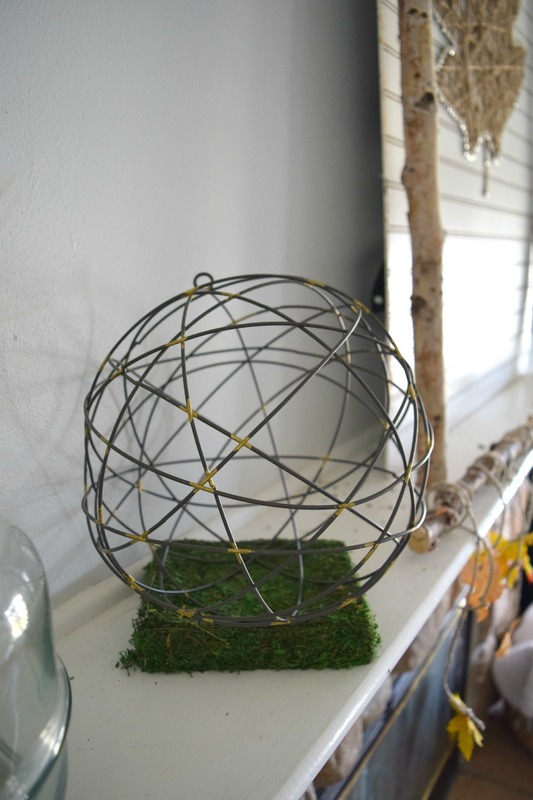 To match the star on the other side of the mantel I selected this large orb. 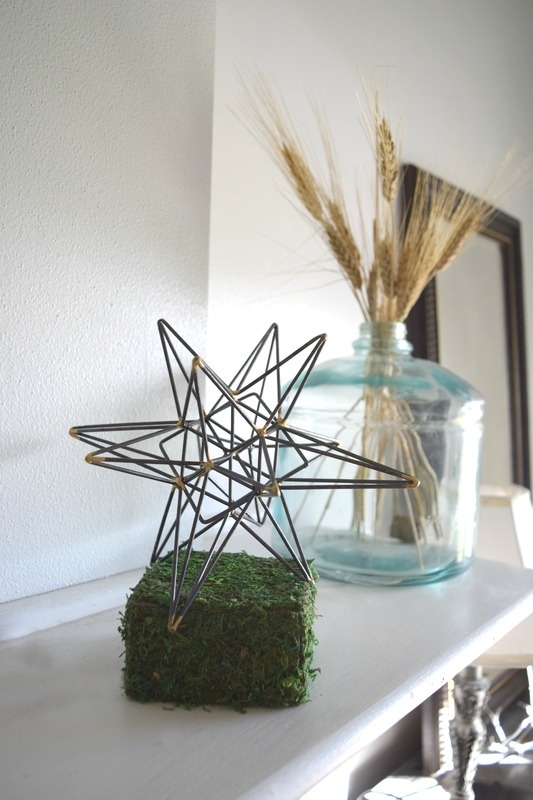 It has the same finish as the star, but is obviously different. I felt it has a perfectly-imperfect feel to putting these together. Again, gold accents feels very fall to me. Because the large orb was larger sized than the star I felt there needed to be something to balance out the two ends. Helping the mantel have the same “weight” on both sides. I evened things out by adding the Fall bucket list sign. I fell in love with it and am so happy I found a place for it on the mantel. Putting it all together in a simple and subtle fell look. Once Christmas comes it is all bright colors, filled with greens’ reds, and usually overstuffed with Christmas coziness. I was looking to simplify a few things. Quiet it down a little for Thanksgiving. These lanterns are beyond swoon worthy! To be honest I was not expecting them to be so big, and was thrilled when I saw how bulky they were. These are true statement pieces! Did I bring you back from the brink of pulling out the Christmas tree ornaments? Let’s let them sit for just a few more weeks. Enjoy the gold, orange, and natural colors of fall in our home for just a little bit longer. I know I was heading down that path, but adding these simple touches and having the clean and fresh feel to fall gave me a new appreciation for the moment we are in. I guess it made me become thankful for the present. That is what this holiday is all about. As I stated earlier this is a post if with a group of other bloggers and Gordmans working together. The next talented blogger on this fall find journey is Katalina Girl. 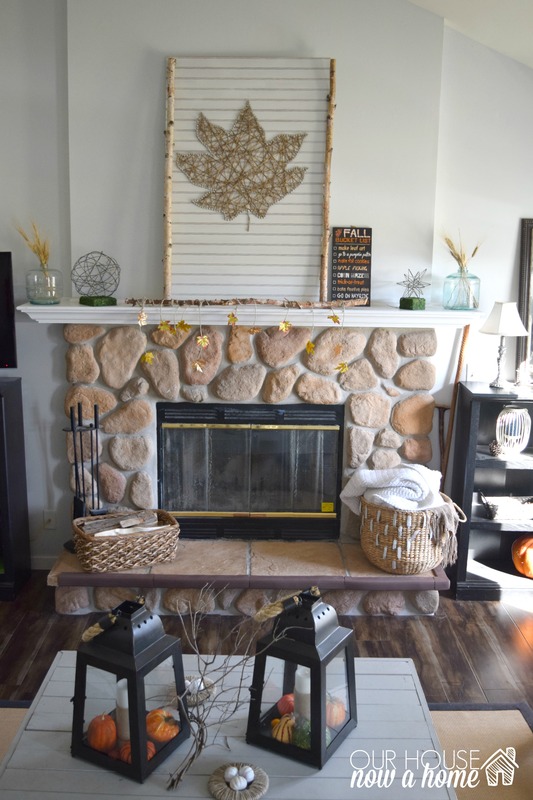 Be sure to head over to her blog to see what she found to add to her home for fall. Lastly, I have a special coupon where if you sign up you get an extra 20% off your next Gordmans order! You can find that here! What colors do you like to decorate with for fall? Have you been to Gordmans recently? Was there something amazing I missed in my shopping?! I’m all about keeping it simple, and I love these ideas, especially the branches. I am loving branches lately. I was at a college open house with my daughter yesterday and saw two great branches in the (very crowded) parking lot. Her and I dragged them all the way across the lot to my car-we got a lot of funny looks! Thank you! I love that you had no shame and dragged the branches. You gotta do what you gotta do! Love the string art and all of the natural elements. Thank you so much! We do still have time to get it all together for Christmas! Love your simple style! I am not ready to jump on the Christmas decor just yet either. I picked up some neat lanterns at Gordmans too. Visiting you from the Fall Home blog hop. Hi! I a so happy to have you here! I am in love with these lanterns! This is SO beautiful! 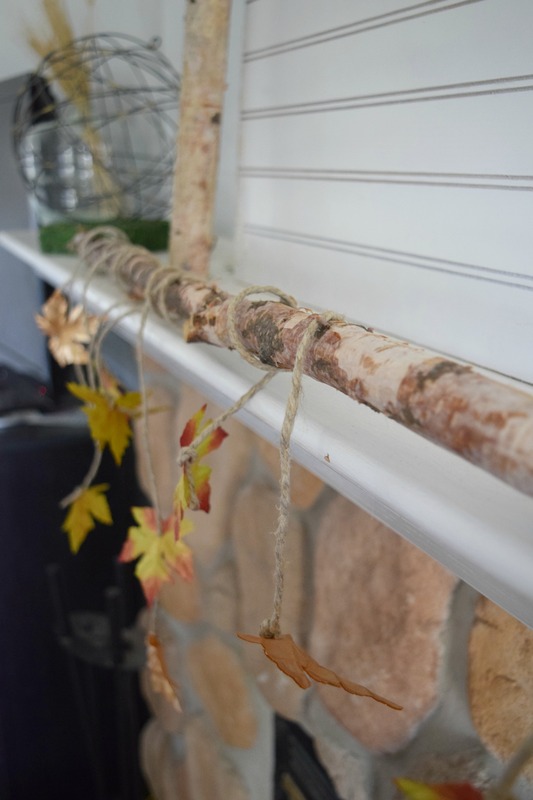 I have those same birch logs and you’re giving me so many ideas on what to do with them! I am so happy I gave you some new ideas! 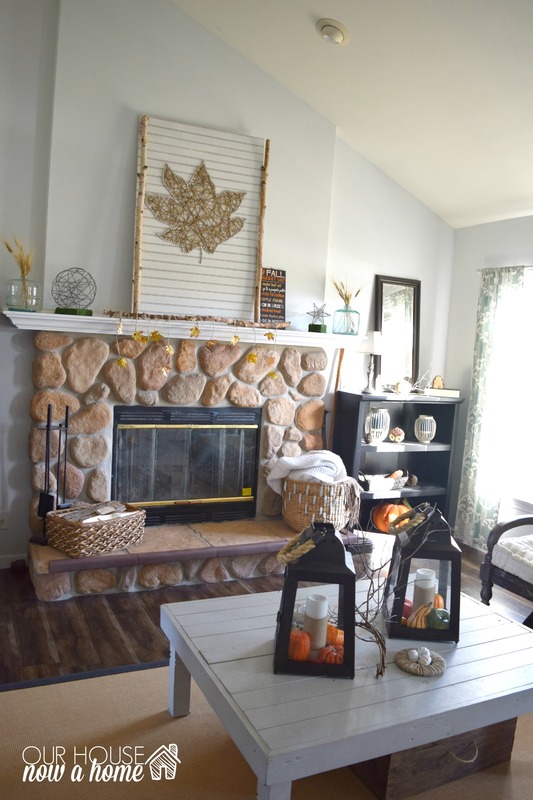 Hi, Emily ~ Your fall decor looks beautiful! 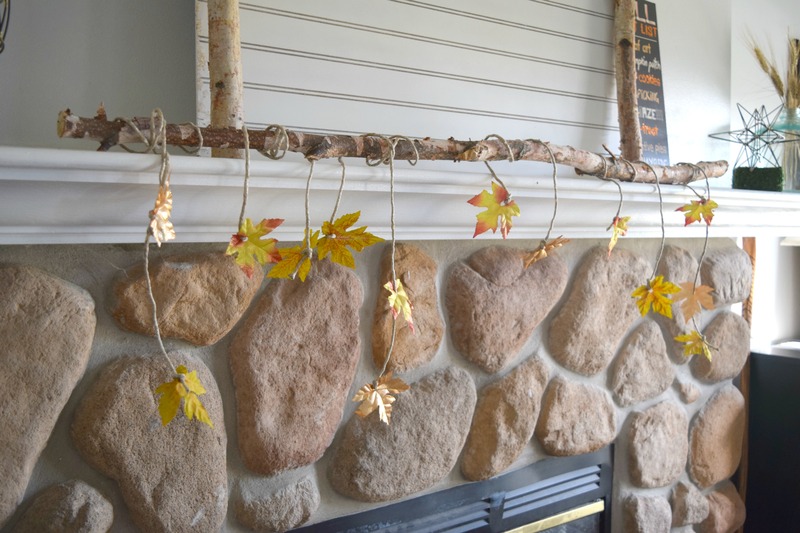 I especially love your mantle and the “falling” leaves. Thanks for sharing and Happy Thanksgiving! Emily I love all of your Fall decor! What great products that you have chosen to accent your home! Beautiful! Girl, YOU are a tough act to follow! 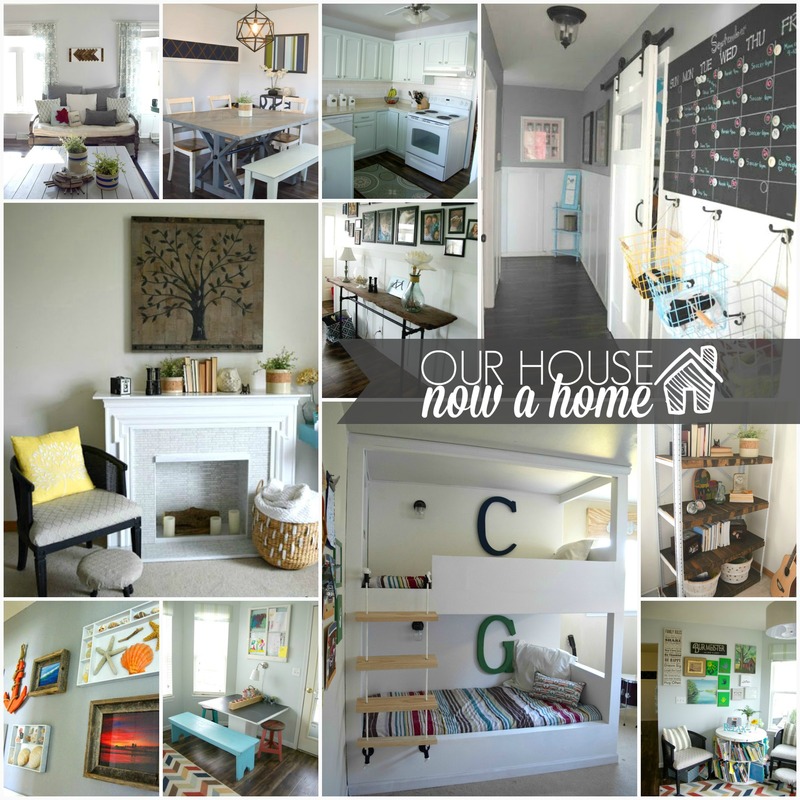 Your home is gorgeous and you are so creative! And HOW did I miss those lanterns?!! Thank you so much Rose, your tablescape was stunning! I have never heard of Gordmans but their stuff looks fantastic! It is a great store, with a lot of locations. There is a full list of items on their website too which can be purchased so if you do not have one close to you, you can still shop there! They are really reasonably priced. Check them out! Emily, how gorgeous! 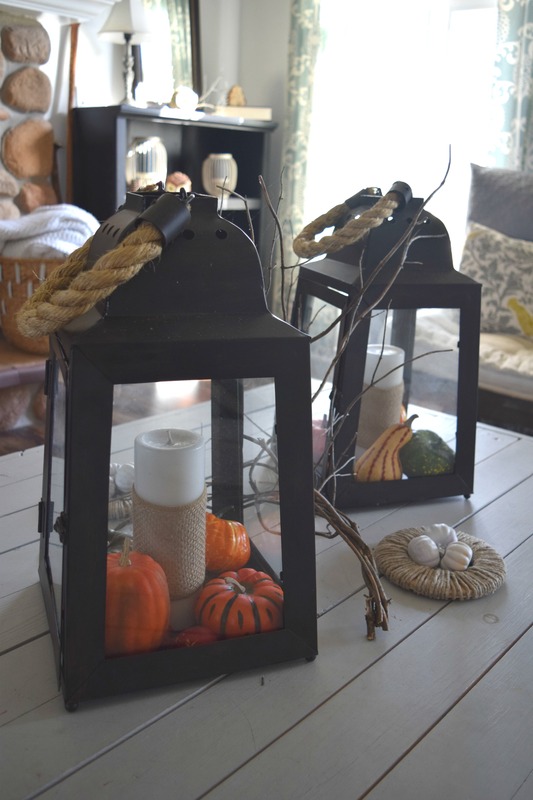 I love a festive fall home – and those lanterns will be great for Christmastime too! Thank you so much! I am in love with the lanterns and will be using them a lot! 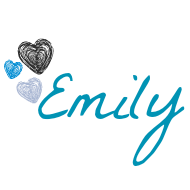 I love it all so much Emily! I never think of Gordmans, but their stuff looks amazing. I love, love, love what you did with the birch branches. And the new site looks great!! Thank you! I am so happy to remind you of Gordmans as a home decor option. I am so happy you like the new site! Amazing decor! Fall is my favourite time of year, and I love all the colours, shapes and textures that come with it – great work! 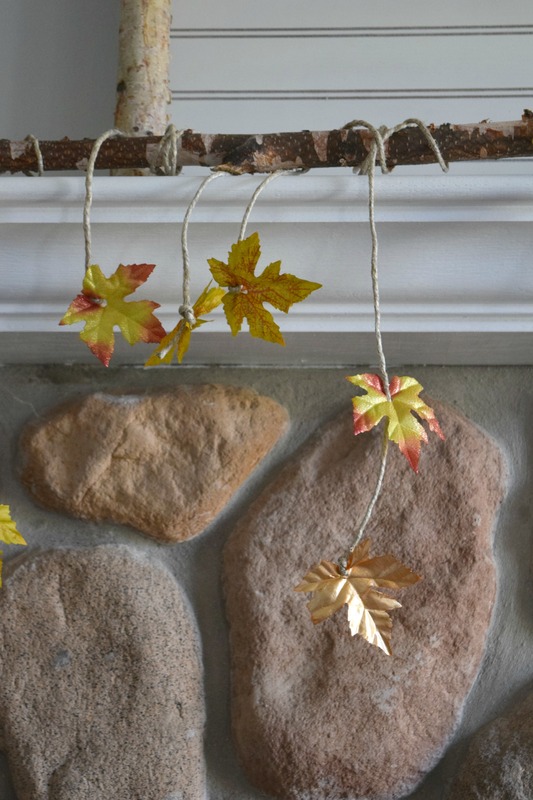 Fall is so fun to decorate for! Emily- What a beautiful idea! I love fall and wish it would last a whole lot longer than it does. (In other words, I have not yet pulled out the Christmas decor… except for the wreath our neighbor brought over for us. I love the simplicity of the wood and leaves. Great job! I enjoy decorating for fall too, and always feel a little rushed with it. Such a pretty Fall decoration. Very lovely! I love those lanterns! 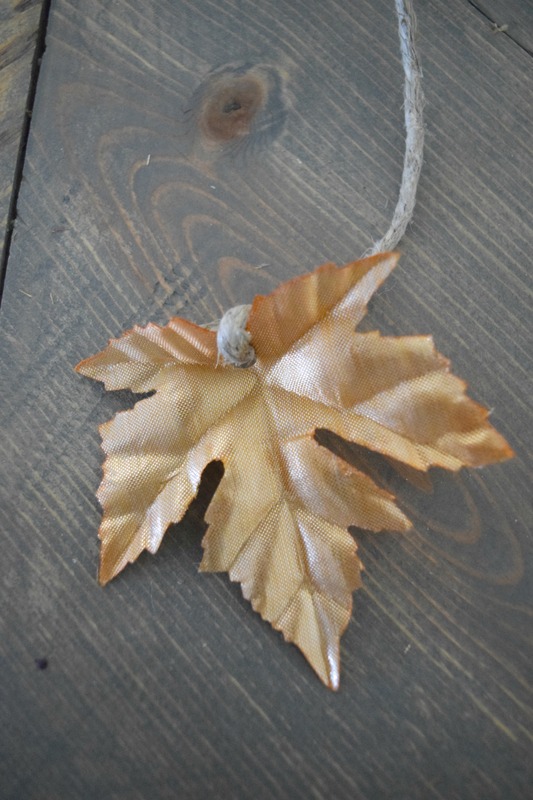 Also love the jute leaf! Very cool! Thank you so much! I created the leaf art and those lanterns are from Gordmans. I love all the ideas, they are so inspiring. My favorite season is fall. Thanks for sharing. Thank you so much! I am happy you enjoyed my decorating! Wow Emily! Every time I see your house I fall in love all over again! Such a beautiful set up. I’d love to get cozy in this area every night! Lol. Thanks for sharing!! Thank you so much for those sweet words, I am so happy you enjoy seeing my blog and what I share. This is a cozy spot to rest at the end of the day.